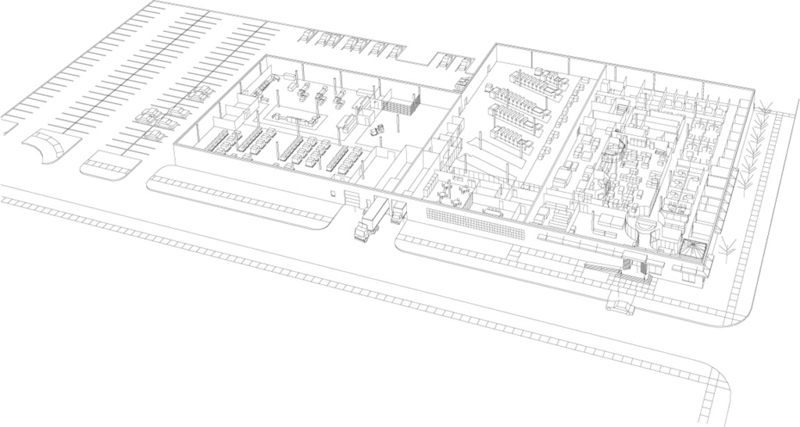 Randal was commissioned by Rich Nickel Design to create an aerial perspective cutaway illustration of a client printing facility. The client was Quantum Graphics, located in suburban Chicago, Illinois. Randal first worked from architectural blueprint drawings to construct a 3D perspective wireframe of the building and the interior components that were to be revealed in the cutaway. Here is the final 3D wireframe aerial perspective model. Once this view was approved by Quantum and Rich Nickel Design, Randal converted the 3D model to 2D line art and began rendering it using a combination of Adobe Illustrator and Photoshop software tools. The final digital file was supplied to the designer and used as a 4-color fold-out spread in a Quantum Graphics company capabilities brochure. 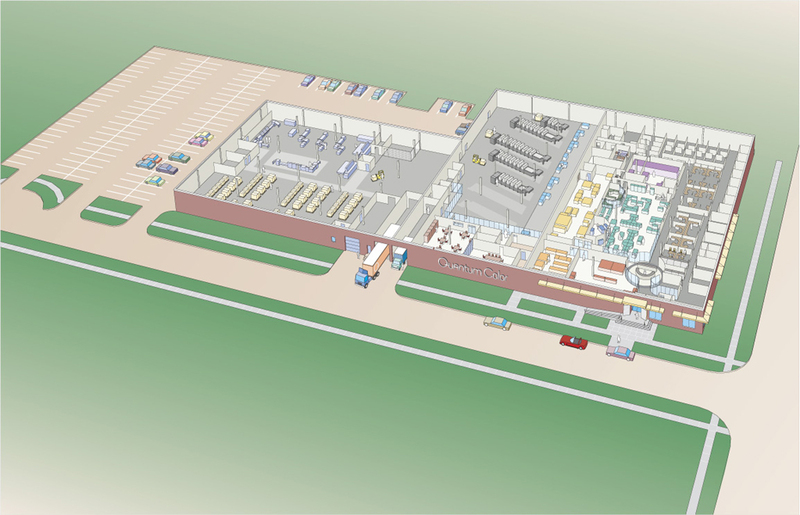 The designer also created a translucent overlay that contained leader lines and captions describing the different areas of this printing plant facility.